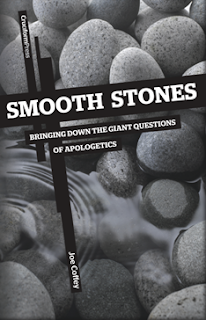 Smooth Stones: Bringing Down the Giant Questions of Apologetics by Joe Coffey: "As a self-proclaimed apologist, I pride myself in at least being familiar with all the big questions and answers surrounding Christian apologetics. Yet Joe surprised me on more than one occasion with simple and fresh approaches to answering these popular challenges. The simple beauty of this book is in its brevity. This book may be the best resource I've seen for a church to keep on hand to answer common objections in every day language. I know of a number of young men in my church family who would benefit from reading a book like this, but would instantly start having heart complications if I suggested they read anything larger." 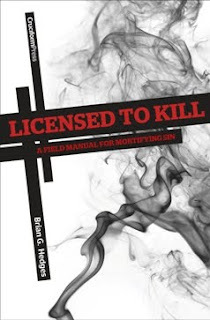 Licensed to Kill: A Field Manual for Mortifying Sin by Brian Hedges: "Destined to draw comparisons to Owen's The Mortification of Sin, Hedges wears his influences on his sleeve quoting Owen early and often (yes, even the mandatory Owen quote: "Be killing sin or it will be killing you"). This, however, is not a criticism of the book. It reads like a fresh, modern repackaging for a generation that doesn't have a Puritan patience." This is a really tough question, but I really like the scope of Isaiah 61:1 and Micah 5:2, which to many might seem simple... but obviously isn't. Right of the bat I'd have to say Isaiah 61. Isaiah 53 has got to be it. It always reminds me that Christ didn't simply die, but that He was the Suffering Servant. Blows my mind to think about the fact the God of the universe humbled himself to that point like Philippians 2 says. It's a hard question to answer because there are so many wonderful ones to choose from, but I think I'd have to pick Isaiah 53 and Psalm 22 as the ones that best depict what Jesus went through. They make me want to worship Him everytime I read them!